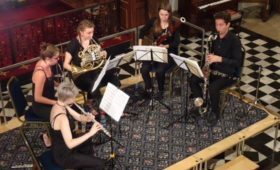 Highlights of the 2015/16 season included five performances at the Wigmore Hall, as well as return appearances at the Berlin Konzerthaus and Amsterdam Concertgebouw. 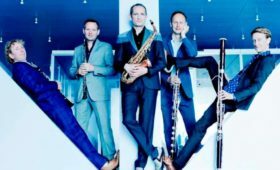 In April the Quartet returned to North America for its annual tour, this time including performances in Salt Lake City, Philadelphia, Boston and Vancouver. European recital engagements included appearances in Aalborg, Aarhus, Clermont-Ferrand, den Bosch, Ferrara, Haarlem and Perugia. They also toured with Elisabeth Leonskaja, including performances at the Musikverein in Vienna and at Wigmore Hall. 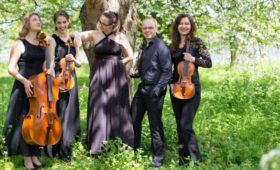 Festival engagements took the quartet to the Cheltenham, Poznan, Risør and Storioni Chamber Music Festivals, as well as appearances at the Oxford Lieder, Two Moors and North Norfolk Music Festivals.